What If:"A Life of Startup CEO in India"
Suhit is a startup CEO with few employees on rolls. They are not yet covered on Pension Funds or Employee Health Insurance. What is the risk that he runs? If god forbidden any medical emergency in the family of employee or accident for the employee. It could be as fatal as paying organization funds and borrowings to help the employee to support emotionally. It’s a risk for startup & Mental Stress for both employee & founders. The MSME sector today is unable to provide their employees with suitable health insurance benefits. The lower headcount impairs their leverage to get a sizable discount from insurance companies. It is not that companies are indifferent towards the welfare of employees, but the whole process of insuring a limited number of people is very cost intensive and cumbersome. Employees are thus left to sustain all costs by themselves, sometimes ending up spending a large chunk from their savings. No matter how small your employee strength is, you can now gift them peace by taking care of their healthcare and that too at the most competent price, comparable to ones drawn by large corporations. ESIC – Employee State Insurance Corporation provides the best of the medical coverage for employees with Multi-Super Speciality infrastructure across the country. It’s also applicable to establishments specified and provided coverage by ESIC. It is a mandatory law for all employees under Rs.21000/- per month salary to be covered. Any employees who are not covered under ESIC like the startups with less than 10 employees or specified areas where there is no ESIC coverage or where the employee salary is more than 21K needs to be covered for Support. The Group Mediclaim Policy covers any medical contingency in the ill-fated event of hospitalization, covering almost all expenses (including pre and post-hospitalization) subject to insurance limits. The policy also should cover certain pre-existing diseases. Maternity benefits make sure that expenses relating to first two deliveries are taken care, also covering the new born. 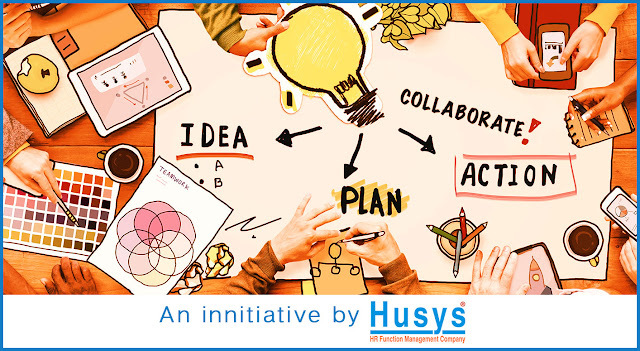 Husys has been providing Human Resource solutions to companies ranging from small and medium sized enterprises to large corporates, adding value to the businesses of more than 600 satisfied clients across India with Global Coverage. We believe that if you take care of your employees as they take care for your customers, the business will take care of itself. Not just our name, our values too spell ‘Human Synergies’. Write to us at affinity(at)husys.net.